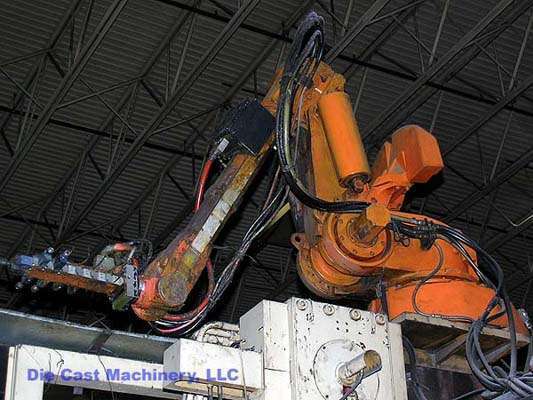 For Sale: One - Used - Second Hand - ABB IRB 6400 Foundry Grade Industrial Robot. Inventory item: DCM-1733. One used (second hand) ABB/Rimrock, Model IRB 6400, 6 Axis Robot Reciprocator Sprayer, Serial Number n/a, 18,136 hours, New in 2001, Cell Number,11, DCM Inventory Number 1733. Foundry and industrial applications.